Ad expenses are deductible from your gross receipts. 1. Can Rent and Utilities Be Used as a Tax Deduction? 3. Are Oil Royalties Passive Income? If you own property that you rent, you need to report your rental income and expenses on your tax return. The best way to avoid making mistakes is to become familiar with the definition of the terms -- such as “gross receipts” -- you will come across when reading the instructions and preparing the appropriate tax forms. 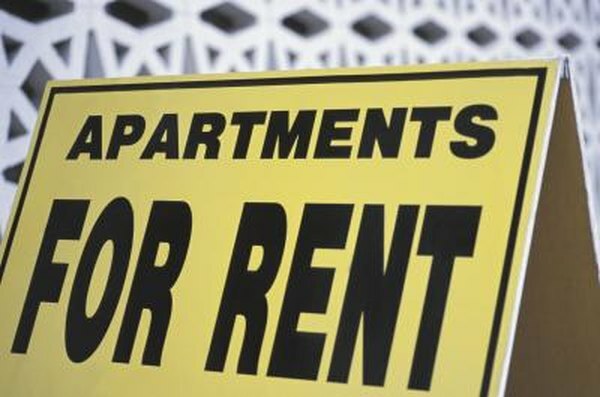 Regarding rental properties, gross receipts refer to all monies you receive from tenants to pay for the space, utilities and services you provide under the rental agreement. The term “gross” indicates this income includes only the amounts you receive and it excludes your expenses as a landlord. The rental income the IRS considers when reviewing your tax returns includes more than the periodic rents you get during the fiscal year. You must also report rent paid in advance and any security deposit amounts you do not return to the tenant at the end of the lease. Likewise, the IRS treats as rent received penalties you charge for early cancellations of the rental agreement. When your renter pays a bill for the rental, which the agreement does not require him to pay, the payment is also defined as rent paid. In addition, the value of services the tenant provides in exchange for rent, such as repairing the unit’s plumbing, counts as rent. The IRS also recognizes as rental income payments you receive under a rent-to-own contract. When you co-own the investment property, your obligation is to report in your tax return only the portion of the gross receipts that you received. Use IRS Schedule E to report your gross receipts from a rental property. Part I of the form requires you to disclose the unit’s address as well as the type of investment property you own, such as a single-family home, a piece of land or a commercial building. Report your gross receipts in lines 3a and 3b. Use the remaining lines in Part I of Schedule E to claim your expenses. Report the total of your costs minus your rental income in the appropriate line of Form 1040. When you finish your calculations for the Schedule E, you are likely to find that your net receipts are lower -- they may even show a loss -- than your gross receipts. That occurs because the U.S. tax code allows landlords to deduct certain expenses. You may claim your costs related to the home loan you have on the property, for example. Depreciation is also deductible, as are operating expenses, such as paying a property manager to oversee the rental. You may also subtract repair and maintenance costs, property taxes and other necessary expenses. When in doubt, consult a tax accountant to clarify whether a payment you made is deductible.